One of the first operations with the use of ether as an anaesthetic agent performed at the Massachussetts General Hospital. 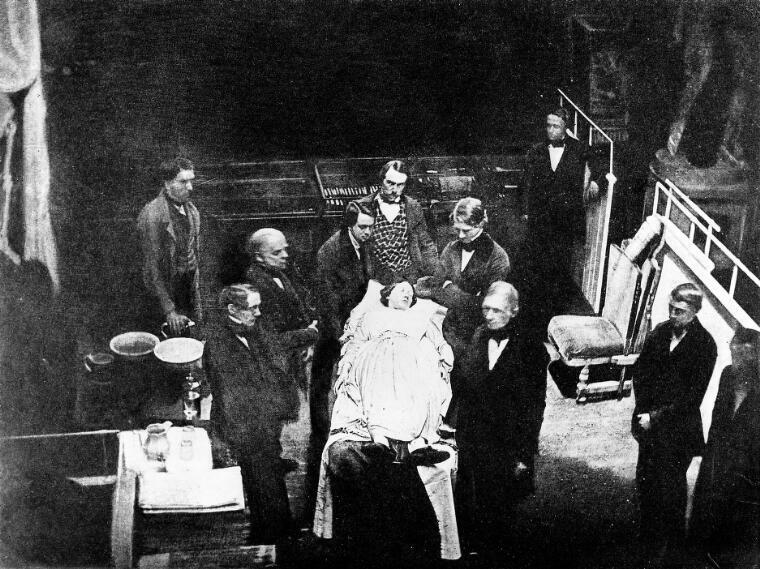 From a aguerrotype reproduced in the Transactions of the American Surgical Association. Daguerreotype.